The AC12000 AP/Router is Mainly used for providing free Wi-Fi service in big area such as factory, community street or restaurant etc. 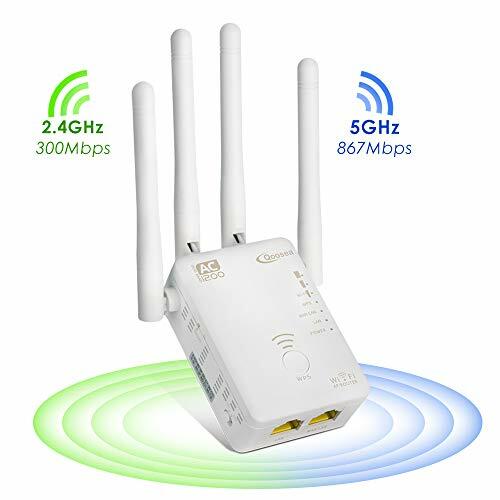 ★Dual Band: Simultaneous 5GHz 867Mbps and 2.4GHz 300Mbps connections for 1167Mbps of total bandwidth. ★External Antennas: Built in 4 x advanced external antennas, which provide better wireless performance, transmission rates. ★Wi-Fi Standard: Complies with IEEE 802.11 a/b/g/n standards and leading 802.11 ac standard. ★One-Key Installation: Easy to install as a repeater by pressing the WPS button. ★Physical Line: Easy to install as a Access Point by running a physical LAN line. This way you can get better signal from wireless router. ★Network Security: This router has maximum WLAN security with WPA2, WPA and WEP for ensuring network security. ★Eliminate Wi-Fi Dead Zones: Extending your exist Wi-Fi signal to everywhere in your house. ★Full Bars Signal: Just put this product plug into the socket, after processing few minutes installation steps, and make your wireless devices get full bars Wi-Fi signal. If you have any questions about this product by Bobstore, contact us by completing and submitting the form below. If you are looking for a specif part number, please include it with your message.